As a follow up to the post announcing my completement of NaNoWriMo I figured that I should include one last word count bar. For this post I choose the slightly different style widget for a reason. It may sound superficial and a little like bragging but complete NaNoWriMo and you will see what I mean. This widget displays the red word WINNER. Seeing that on your badge gives you an amazing feeling. There is also now one replacing theparticipantbadge on the right side. Also there is one at the bottom of the page for when the right side one is removed. Congratulations to all of the other NaNo winners out there! In the last five days I have been lucky enough to attend two amazing author’s signings. Archer Mayor in Wellington. 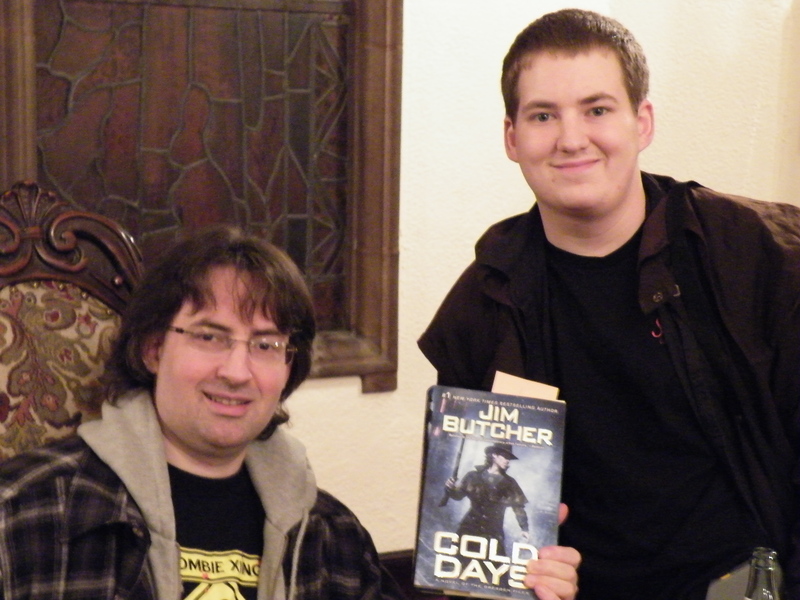 He signed my copy of his most recent book “For Ian- To a brighter future in blue – Archer Mayor”. 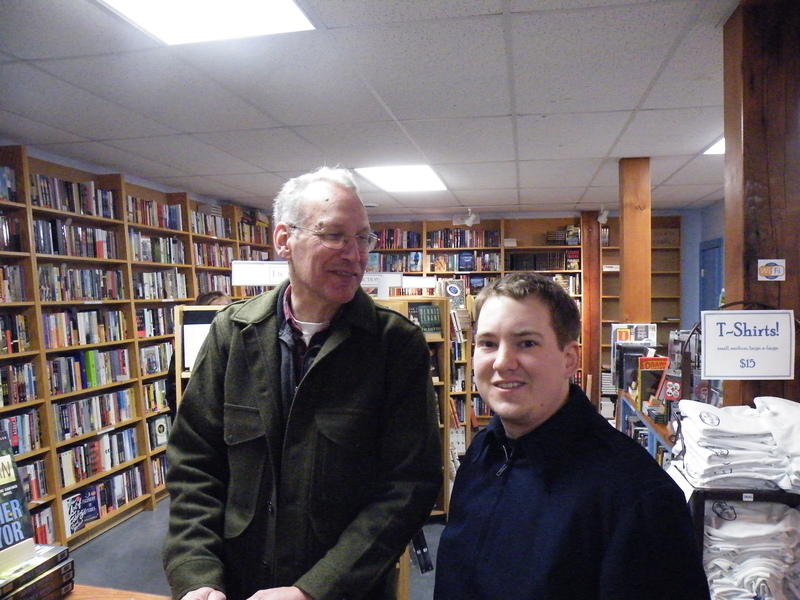 Believe it or not I had not planned to get a book signed by one of my favorite authors while in Vermont. But since he was part of my inspiration for wanting to work there I was looking at his website as my Dad and I talked about him. I happened to pull up his appearances page and there he was, in a town not 25 minutes from where I was. Meeting him made an awesome trip perfect. Sorry Jim that you had to follow that other signing but you came after. Your trip was planned though. I had seen that you were coming to town the first day that you posted it on your blog. Then as soon as tickets became available I got one. The signing was great as was the Q&A. P.S. I get to write a page on the overall experience for class credit. You need to tell yourself: You can do this, you can be a writer. (Referring to your dreams) You’ve got to make to make it yourself. Over all both signings were great and it was nice to meet my two favorite authors!